A website just for the kids! 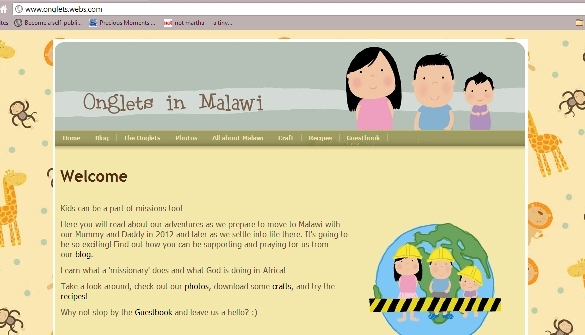 Mummy and Daddy have made us a website/blog so we can stay in touch with our friends when we're in Africa. There's crafts, colour-ins, recipes and fun facts about Malawi like eating caterpillar skins!